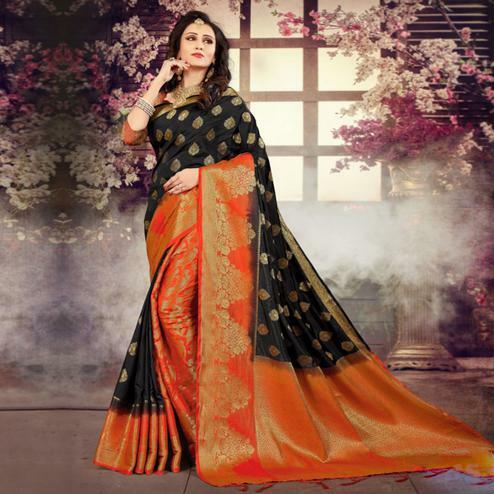 Look stunning and feel comfortable in this black saree designed using top dyed polyester fabric and made rich with golden weaving work done in the form of big tree motifs at entire body chevron pattern at border and small floral motifs at lower end of pallu. Saree paired with matching fabric blouse piece having weaving work motifs. Suitable to wear for parties and occasions.